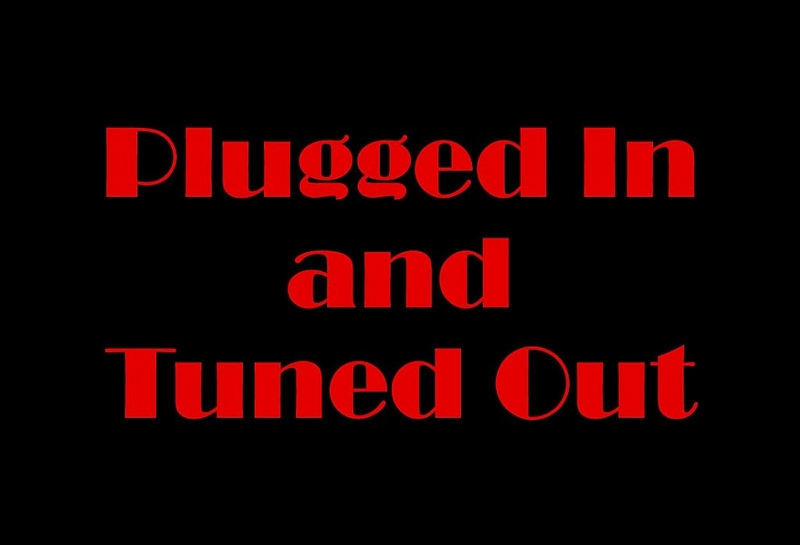 Share the post "Plugged In and Tuned Out"
The race was on this morning to get some errands done before a scheduled continuing education class that started at 11:30 a.m. at the Music Man Square. It seems inevitable that when away from my office and cell phone for a full morning or afternoon, the messages seem to be in an over-abundance upon return. It was a good afternoon and was able to have a very good lunch as well as more than expected mid-afternoon snacks provided by First Citizen’s Bank. I mentioned to one of the officers from First Citizen’s that was in attendance that when they do something special, they really go the extra mile. There were a number of colleagues in attendance that I haven’t spoken to in some time so we played “catch up” on happenings with each other. In walking away from that class, I decided there are more avenues of finance available for just about any type of buyers as long as their credit scores are 640. There are far too many people renting when they could and should be purchasing. I really hate seeing tenants being caught in traps where they’re paying far too much for rent and unable to save enough money for a downpayment and closing costs. Well, with more options opening up with the lenders, the need for downpayment is not always necessary as well as extra money saved for closing costs. In some cases, buyers can own with little or no money out of pocket. I will be getting a significant price reduction tomorrow evening on a home that we’ve had two offers on in the past. It’s located at 911 S. Illinois Ave. here in Mason City. The new price will be $108,500.00 and with that posted on-line, there should be some renewed activity on the home. The third offer should be the charm. That home has certainly been a fly-over by buyers who likely think it’s smaller than it really is, where in fact, it has 3 roomy bedrooms and two full baths; one being the master bath. I see too many condos selling for far more and don’t offer the amenities this all-on-one floor home supplies. About five or six gallons of paint would turn this home into a showplace. Most people think paint colors have no affect on sales, but in fact they do because most buyers today can’t visualize what something would look like. Too much passive information being supplied via the internet and television. After listening to some of the borderline foolish questions asked of the instructors at that class today, I sometimes even wonder about what some of my colleagues must say when showing a home. Perception, vision, and action sits by while others play follow the bouncing ball. There’s too much monkey see, monkey do in our world while the ability to create becomes lessened. One of my colleagues chided me today for the brand of cell phone I have simply because I don’t own one of the popular ones on the market today. I said to her, “I started with the brand I have a number of years ago and I’m completely happy with the new model I recently purchased.” If something works, don’t go out and try to fix it or re-make it. Oh and not to mention all the “apps” everyone seems to think they have to have on their cell phones. Cell phones should be completely turned off or left outside classrooms. Too many instructors say “Turn your cell phones off”, but they don’t realize many of the students just shut the volume off and continue with their being plugged in and tuned out. I can only imagine how much information was shared didn’t get mentally registered.